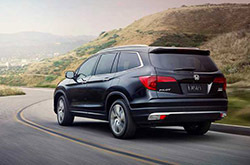 The Honda Pilot is back this year and completely redesigned. 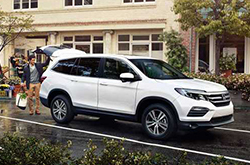 To better suit today's drivers, Honda has drastically improved the Pilot by increasing its fuel efficiency, adding brand-new available features, boosting its power and integrating a host of safety equipment that aim to deliver a secure driving experience. Aside from these enhancements, the 2016 Honda Pilot in Arlington offers a brand-new trim level this year: Elite, which sits at the top of the lineup. 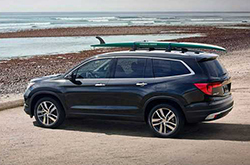 To discover details about the new trim and learn more about the latest Pilot, be sure to read our 2016 Honda Pilot review. Delivering 280 horsepower and 262 lb.-ft. of torque, the 2016 Honda Pilot in Arlington can take on just about any challenge. On LX and EX models, it comes paired with a six-speed automatic transmission, while Touring and Elite models sport a nine-speed automatic with stop/start technology and steering wheel paddle shifters. Front-wheel drive is standard on all models, but buyers also have the option of outfitting their SUV with an all-wheel-drive system. If you want to obtain top-notch fuel efficiency, front-wheel-drive models equipped with the nine-speed automatic are the way to go; they deliver an EPA-estimated 23 mpg combined, 20 city and 27 highway. One of the most exciting additions to the 2016 Honda Pilot in Arlington is the new Elite model. Equipped with heated front- and second-row seats, ventilated front seats, HD radio, automatic windshield wipers, LED headlights and a panoramic sunroof, the trim level is incredibly appealing to buyers. Adding to its overall attraction is the Honda Sensing Package, which comes with first-class safety features. Forward collision warning, rear cross traffic alert, blind-spot monitoring and lane departure warning are all offered on the top-of-the-line model. If you're interested in acquiring further details about the new Pilot, scroll down and continue reading our 2016 Honda Pilot review. We're certain that the Pilot is right for you. That's why we offer tools that will allow you to compare Honda's most current model side-by-side with the 2016 GMC Acadia, Chevrolet Traverse, Buick Enclave and the Mazda CX-9. Shoppers will benefit from the Pilot's competitive sticker price, as well as its attractive exterior design. For Honda customers who want a truly outstanding value, just compare this vehicle's price to the forementioned vehicle options and you'll see that it's a worthy investment. Find out more - Take a look at the bullets below this paragraph! Buying a car takes persistance, research and a little help along the way! That's why Vandergriff Honda has provided the Pilot review above and reviews of other 2016 Honda models. It's our responsibility to provide reviews composed by the most outstanding automotive writers in the business - it's just one of the things that makes us a premier area Honda dealer. Saturated with ultra-precise information and specs, each section gives you complete details about all the Pilot has to offer drivers in terms of safety technologies and much more. Is the Pilot not the right pick for you? Discover more about other vehicles available at Vandergriff Honda using our reviews archive. 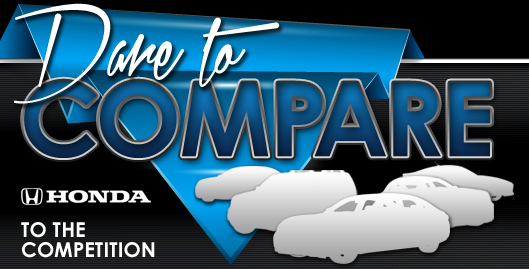 With it you can review and compare Honda's entire line of vehicles.